J. 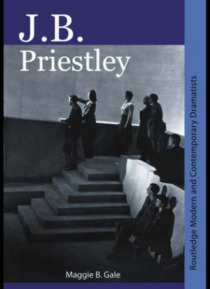 B. Priestley is the first book to provide a detailed and up to date analysis of the enormous contribution made by this playwright, novelist, journalist and critic to twentieth century British theatre. Priestley was often criticised for being either too populist or too experimental and this study unpicks the contradictions of a playwright and theatre theorist popular with audiences but too often… dismissed by critics; describing and analysing in detail not only his plays but also their specific historical and contemporary productions.Using a combination of archive, review and critical materials, the book re-locates Priestley as a theatre theorist of substance as well as a playwright who challenged theatre conventions and assumptions about audience expectations, at a time when theatre was considered both conservative and lacking in innovation.